Whenever I read a book written by Leslie Gould I am immediately hooked by the characters she creates. If the book is part of series it is even better! Amish Weddings, Neighbors of Lancaster County series book three is a book I heartily recommend if you enjoy stories of faith, love and forgiveness. Set in Lancaster County, the story begins with the upcoming wedding plans for Lila Lehman and Zane Beck. I enjoyed their story in Amish Sweethearts and was pleased to tag along for their upcoming wedding. Their plans are disrupted, however, when Lila is critically injured in a buggy accident. With a long recovery looming she must recover not only her bodily strength but also her spiritual strength. Zane's love pours itself out in numerous ways as this man who gave up his Englisch life navigates a system that is far different in the plain world. Uncertainty is like a shroud that threatens their future happiness. Lila's sister Rose is a lively young woman who enjoys a good time but is ready to settle down with Reuben Byler, the bishop's son. Reuben is waiting to settle on announcing a marriage to Rose until after Lila and Zane are wed. Rose is captivated by a young man who served in Afghanistan with Zane. He is as exciting to Rose as the bright red sports car he drives. He is the opposite of Reuben and quick to declare how he feels about Rose. Tim Lehman, the girls' widowed father enjoys keeping company with Beth Yoder. He would marry her in a heartbeat if not for her long ago divorce. The divorce is like a shadow over the relationship because the church does not recognize divorce. This is Rose's story and the journey she completes toward becoming a woman in her own right. Her mother died when she was just a little girl and she was raised by Lila who was just a girl herself. Her father was busy keeping them fed and housed as a single parent. She is an impetuous young woman who faces consequences that bring her full circle to the woman she was meant to be. At times I was angry with her and others I felt she was just a young woman who lost her mother's love and guidance far too soon. 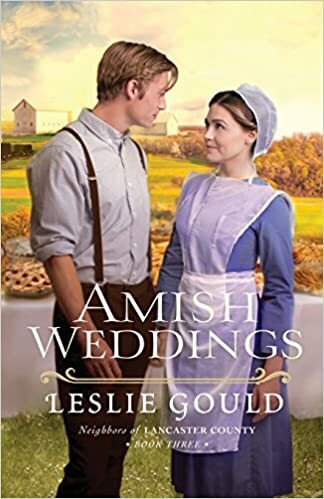 I was happy with the ending of the story and am happy to recommend Amish Weddings without reservation. 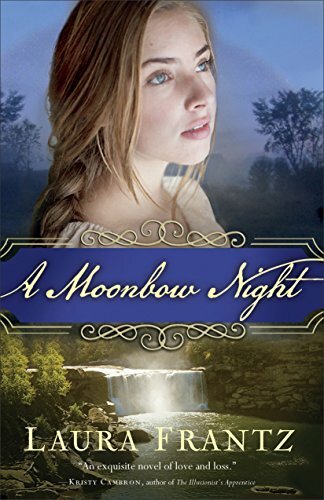 Laura Frantz' latest book Moonbow Night is set in the days of Daniel Boone when our country was largely unexplored. With a lush backdrop one could hardly expect trouble to find its way into peaceful meadows and spectacular waterfalls. Yet, in 1777, the Revolutionary War was being fought on the one hand and surveyors were marking off land to be taken by settlers eager to own acreage. Danger surrounds the world of Temperance Tucker and her family. Fronting the Shawnee River, her family built the Moonbow Inn, a haven for travelers and traders alike. Her father had trouble with surveyors and lived well hidden beyond the inn. He trained Tucker to hunt, shoot and track better than most men. Her brother, mother and dear friend cooked and cared for weary travelers. Sion Morgan led a surveying team over the dangerous territory. Weary and hungry his team stopped at the Moonbow and here is where the story really begins. As fate would have it, the group needs a guide into dangerous areas filled with Native Americans who have no patience for these surveying "land stealers." Temperance is charged with guiding the team at the behest of her father. The danger is great but it doesn't take long for Sion to realize she can hold her own to his skill with tracking and shoots as well as he. She is an unwilling guide but the story provides her a rich journey and the love of a man worthy of her. I received a copy of Moonbow Night from Revell for an honest review and I enjoyed many hours reading it. I was intrigued by the title and all the more so when I learned that "Moonbows or lunar rainbows are rare natural atmospheric phenomena that occur when the Moon’s light is reflected and refracted off water droplets in the air." I would love to see a moonbow! Laura Frantz is a wonderful story teller, weaving history into the lives of the rich characters she creates. If you enjoy historical fiction I recommend you reserve a copy of this book for your collection. I am in awe of the men and women who settled our country and faced countless trials with more courage than I can imagine. 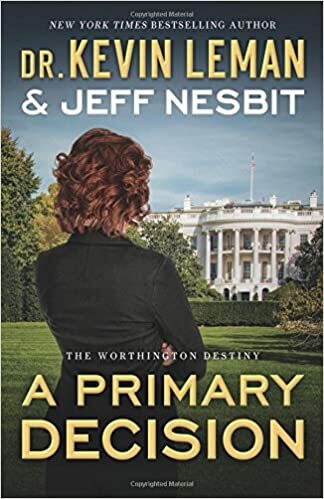 A Primary Decision by Dr. Kevin Leman and Jeff Nesbit is sure to please anybody who likes intrigue found in the political arena. The story centers on the powerful Worthington family from New York. The intrigue is supplied by forces who want to take this family down with lies and corruption. I discovered that A Primary Decision is book three in the Worthington Destiny series but nonetheless it can stand alone if you don't mind missing a little of the family background. Sarah Worthington, the youngest child and only daughter of Bill and Ava Worthington has been tapped by the President of the United States to be the next Attorney General. One who is forthright and able to give better than she gets, Sarah sails through the hearings and is sworn into office. Once in office she sets her cap on the conspiracies rampant in Washington and begins proceedings to prosecute the same man who chose her to be the nation's number one attorney. Truth, justice and nothing less than is the people's due propels her forward on her quest. In the meantime, her brothers Will and Sean have their own agendas that keep the story lively. Topping off the family story are the secret messages relayed between two unnamed sources who seem to be puppeteers holding strings above it all. If you like mystery and politics, you will enjoy A Primary Decision. I received my copy from Revell for an honest review of the story. You decide if this book is ultimately your kind of thriller but this one, while full of corruption leaves out the x-rated fare Christian fiction lovers like to avoid.